How to never run out of prims or space on any sized parcel or sim. Over the years I’ve tried to help shed light on tips and techniques to allow anyone to get the most value out of their SL land, from shrinking oversized builds and altering your viewer camera settings to make your parcel larger, to squeezing out the most from your prim allotments by optimizing prim and mesh builds. Still, there’s one aspect of virtual land that is long overdue for a discussion. That is the nature of land in SL itself. 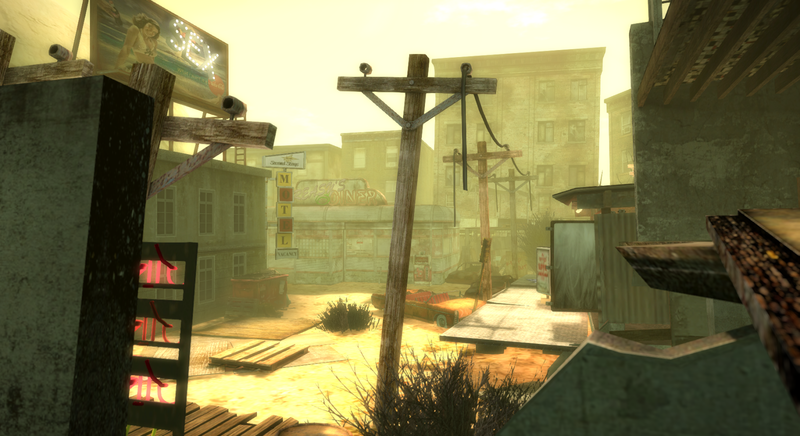 Most people see their virtual land in Second Life as finite. You have your prim limit and your land area and that’s it. If you want a bigger house, a bigger RP area, more content to play with then obviously you need more land, right? Everyone knows this, it’s the typical understanding of how SL works. 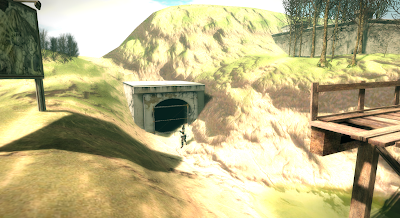 Land in Second Life is virtual. Bolded and underscored. Everything about it, from the terrain to the content you fill it up with, is nothing more than a collection of 1’s and 0’s. 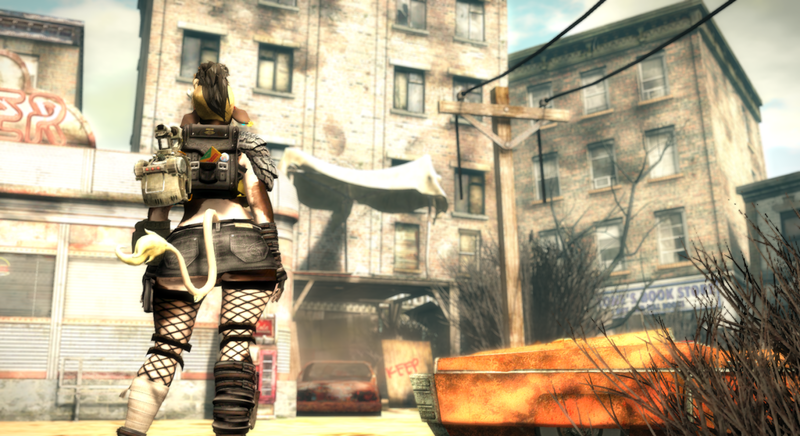 What’s more, Second Life gives users an infinite amount of storage space for those 1’s and 0’s. You have an infinite inventory and can store as much content as you like in rezzed, in-world containers. What’s more, you can script those containers into what we call “rezzers” or “Holodecks”, after the famous virtual reality room from Star Trek. Chances are, you’ve used one of these already. 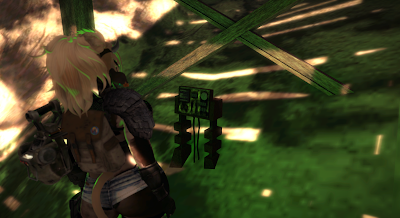 Ever bought a house or other large SL object which came in a scripted package? One that would allow you to rez and position the item just by clicking on and moving the package around? 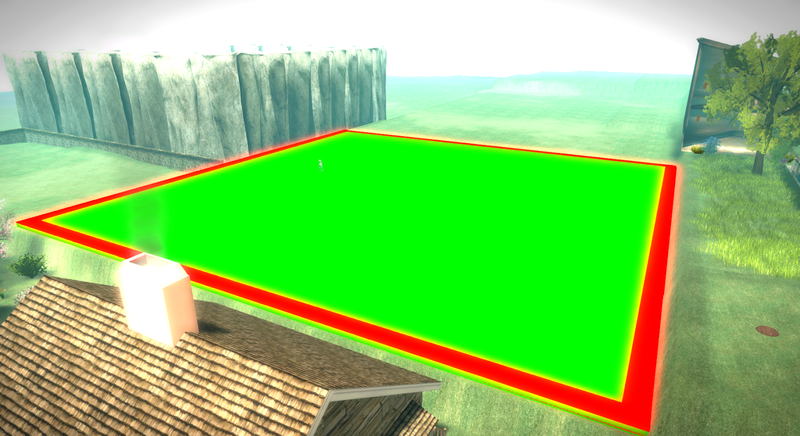 Or a skybox that lets you choose from a selection of pre-made scenes it can rez for you? These work in the exact same way and you can use the same sort of scripts to make any size land into an infinite space for all the content you could ever want. And this works for any sized land, from tiny 512sq.m. parcel homes to full sim RP builds. The size of the land you own only limits the amount of content which can be rezzed at any one time. Let me illustrate using my own home as an example. I have a 64x64 square parcel of mainland. This is considered a mid-sized piece of land. It supports about 1000 prims. Most of the neighboring 64x64 parcels have a single house with maybe a quarter of the space left over for a tiny yard.Most of these parcels devote all of their prims to said house and the furniture inside. Possibly a single skybox for the illusion of privacy. If you have multiple accounts, upgrade them to Premium with an annual membership. This will cost you $72 per account up front, but if you save the stipend and cash it out to put towards your annual payment, each account will only cost you $14/year afterwards. If you have accounts made before LL lowered the stipend in 2006, then the tier will more than cover the annual payments. Lump their 512sq.m. tier into a landowner group, giving you a 10% boost, and use that to purchase the land. If you pay tier annually that’s costing you $372 up front and $372 every year after if you upgrade your tier and buy the land directly. If you upgrade 7 accounts that’s $504 the first year then only $98 a year every year after. On top of that, you don’t NEED to upgrade all those accounts at once. If you can afford the monthly tier costs, but not the up-front expense, upgrade the accounts with a monthly payment, then upgrade each to a yearly as you can afford to. As you can see, 64x64m is actually pretty spacious if you build efficiently. What’s more, the yard only uses about 300 prims and acts as a hub area for the rest of the build. Remember, we’re taking advantage of the infinite space virtual land affords. This yard, and the 200 prim barn interior, are the closest my home has to “permanent” structures. Spread around the yard are doors. Most of these doors, when clicked, will play a sound effect and give you a dialog message saying “This door appears to be locked but maybe there's a way to unlock it?” And there is! Underneath the bridge people arrive at there is a terminal labled “Door Lock Terminal”. Click the terminal and you get a menu asking “Unlock which door?” and a selection of doors to open. Choosing one will “lock” the currently “unlocked” area and “unlock” the newly selected area. If someone is in the currently “unlocked” area, you will instead get a message saying “The lock controls are overridden from the other side.” and nothing will change. My liberal use of quotation marks is because this terminal is really the rezzer controls for the parcel. When you “unlock” a room, you’re derezzing the currently selected room and rezzing another. 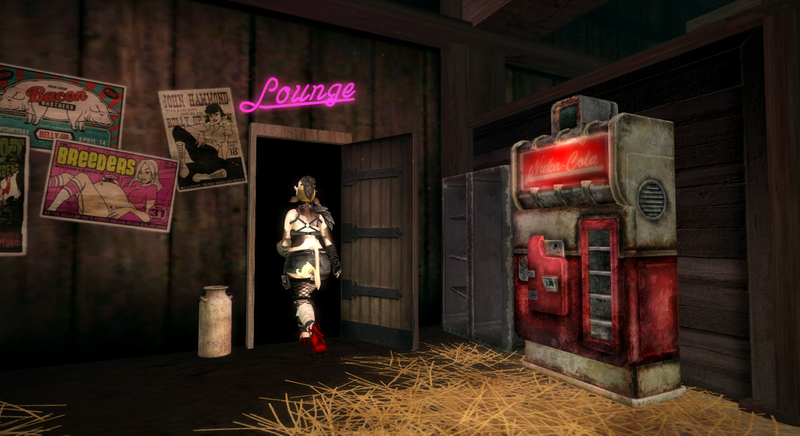 In addition, the rezzer replaces the locked door with a door that acts as a teleporter. The teleporters use the (as of this writing) recently added Experience Features so you just click the door and walk into it to teleport to the room interior. And I can add as many of these additional areas as I want! There’s no limit. Already my 64x64m parcel has more content, more places to go, than any homestead on the grid. Eventually, as long as I keep adding new areas, it will be larger than many RP sims. That’s right, if you ever wanted your own RP sim but can’t afford, or justify the cost of, a sim, this is a great alternative. Sure, people can’t spread out to the four corners of the world, but unless you’re building a sim like Doomed Ship, where most of the experience is in exploring a twisting maze of corridors and secret passages, there’s RP benefits to keeping people restricted to a few locations at a time. Not to mention, RP sims are rarely self sustaining. That’s why they’re always shutting down. Rather than spending hundreds of dollars a month on a brand new RP sim, the best bet has always been to start with a small, affordable RP area and expand only as your growing player base allows for it. On top of that, as long as you expand in a modular fashion, an RP area that finds itself facing a dropoff in support can easily scale back during tighter times without a whole lot of work, or permanently sacrificing content. That kind of flexibility means a greater ability to whether the ups and downs every RP area in SL faces. You don’t even have to get as fancy as I have. Have a 512sq.m. parcel for your house and want to take advantage of this to have infinite rooms? Keep the home furnishings to a minimum and put a door inside to act as your teleporter. Make the rezzer a lightswitch next to the door and use it to select the room the door will take you to. Or, even simpler, a holodeck skybox where you just change the scene around you, without the need for a HUD. Setting up and packing your own scenes is super simple, and you can get free holodeck scripts off the marketplace to set up your own right now! The larger your land, the more you can do with a system like this. Have a full sim and you want to make the most of it for an RP area? 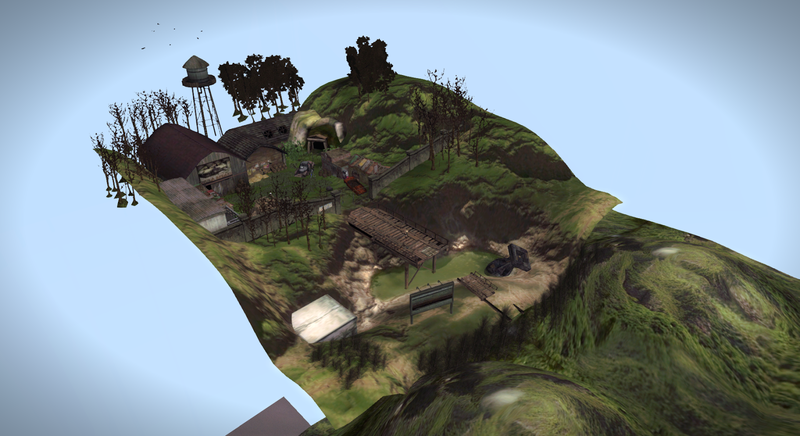 Then taking advantage of the virtual nature of SL land will let you turn a single sim into an entire world of environments. Where my previous examples each used a single rezzer, a full sim build could use multiple rezzers spread across the sim. You could have entire sim-sized environments accessible via rezzers, as well as multiple, smaller rezzers for individual areas. And since each of these rezzers can have an infinite number of rezzable environments, your RP sim can keep growing as long as you keep coming up with ideas. Using Doomed Ship as an example again, using a rezzer the sim could be set up so that all of the core decks act as the permanent hub area, with rezzers built into various controls and locking mechanisms on each deck to open up further areas for exploration, separate from the main, twisty maze of rooms and corridors that make the sim so much fun to explore. There is a catch. Rezzers only work with copy/mod content. So any no-mod/no-copy content you own will either have to be retired or limited to the hub areas. The best policy, of course, is to avoid no-copy/no-mod content altogether and encourage your favourite content creators to abandon bad, anti-consumer business practices which prevent you from getting the full value out of your virtual land. Not all content creators sell no-mod/no-copy content to intentionally screw you over like this, most are simply unaware. Luckily, there are solutions for content creators who've been selling no-mod/no-copy content which could allow customers to update their content with more sensible perms, such as using this handy Item Exchanger/Updater from DesolateStudios. 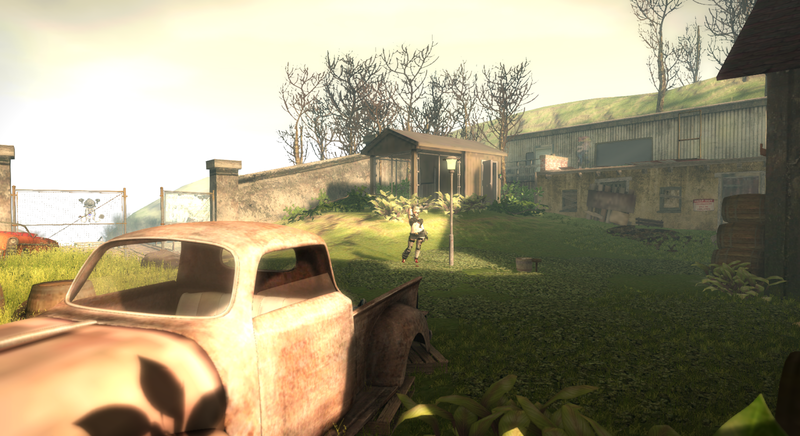 SL has it’s share of problems, but the cost of land has always been overstated. Every landowner in SL has, at one time or another, wished for more space or more prims and I hope this article shows how you can achieve that easily, without breaking the bank. Do you know of a tutorial on how to do this? I read your article and have no idea how to even begin. If I understand, you are saying purchase a rezzer like the ones some house builders use...and then pack and entire environment (furnished home) into it which can be summoned on command? I don't know of any tutorials offhand, since each system works differently. I recommend grabbing a free holodeck off of the marketplace to play with. A friend of mine made a custom system for personal projects and let me use it for my home, I'm trying to convince them to release a user friendly version for sale, since it allows much more seamless integration into larger environments than typical holodecks, which are based around a single rezzing space. Here's one that's free, and should work for most people, but it's outdated in ways that make it less than ideal for larger, more complicated structures. Penny is never content to just do her thing on her own land and make her avatar as she wishes. Instead, she has to impose her wacky notions of "proportionality" on the entire world of SL although there is no demand for it, and has to come up with schemes to globalize the "liberation" of other people's content and harm their livelihoods. Keep it on your own land, the end. But everything she's said she's backed up with facts as far as I can tell. I think we can accept as fact that human-like proportions are things that exist, and all she did was discuss the method for achieving them in SL, IF one wishes, and the benefits of knowing they exist and designing around that knowledge. And in this particular article all she's discussing is a method to heavily save on prims, which I think we also can all agree is good? Feel free to somehow debate me though, if you like, of course. lol. Crazy Prok... Penny is not imposing anything on anyone. She is making a helpful suggestion to people who want to get more use of their land, to think differently about how to use the land. People are free to do what they want with their land, take her suggestions or not. And the "liberation" of other people's content? Give us a break. She said nothing of the sort. You're so deranged and hateful.